Today the world lost a brave soul. Someone who fought cancer. Someone who fought to educate her community about cancer. Someone with endless energy and passion for her work. Serphine Awour, a cervical cancer survivor from Siaya, was laid to rest today, having suffered from pneumonia for the past three days. I had the fortune of knowing Serphine after Lilian Ochieng, Nation journalist, reported her brave story last year. I encourage you to read and watch her story here. Lilian put us in touch. We connected Serphine to Maureen Momanyi, a cancer advocate in Kisumu, and together they have helped many people through education and help through the cancer journey. Death came too soon. Her plans were big. She was studying nutrition at Great Lakes University. She wanted to help as many people as she could. May her spirit inspire us all to continue in this good work. The inspiration to talk about cancer comes from my own experience with this monster, and the experience of hundreds of other brave men and women I have had the privilege of knowing in the last few years. The courage to speak about it at this forum is from a small book that FEMRITE launched here in Kampala in July 2010[i]. I still treasure the copy you gave to me, autographed by most of the contributors. I was diagnosed with prostatic cancer three years ago, almost to the date of writing this small piece. I was treated both in Nairobi and at the HCG Hospital, Bangalore, India. In spite of what doctors may say (that cancer is never cured, it only goes into remission), I believe I was cured and now live a normal life. Naturally, I have had to adjust my lifestyle somewhat; I retired from regular employment, but then I had attained normal retirement age, I have to be a lot more careful with my diet (all credit to my dear wife, Muthoni) and of course I have had to take the slow lane in so many areas. My experience with the diagnosis and treatment is all documented in a small book called Bengaluru Journal[ii] which my wife and I wrote, initially as a personal diary of our experience in India. Our son held our hands as we made that journey with what he calls ‘trepidation’ and so you will find a chapter by him in the book. I first encountered cancer face to face about 32 years ago and it changed my life; left me devastated. I was then a teacher of Literature at the university, expected to know a bit about everything to do with the depth of human experience. I must have read Solzhenitsy’s Cancer Ward[iii] but, was that not yet another novel? So when our first son started ailing and going down so badly, I was simply impatient with the doctors. They inserted long needles into his spine to aspire some bone marrow. The poor kid screamed his heart out, biting me hard in the process. It took our family friend doctor to come and explain ‘gently’ that our son had leukaemia and that he may not live long. The word, in my naivety, sounded like some poetic elixir. The point is, why are we so ignorant or in denial about disease and, in particular, CANCER? East African Publishing House published a book entitled Cancer in Africa about 1971[iv], emphasizing the fact that cancer was not new in Africa and that it was potentially a major cause of mortality (read death!). Nobody took notice, certainly not our political leaders. 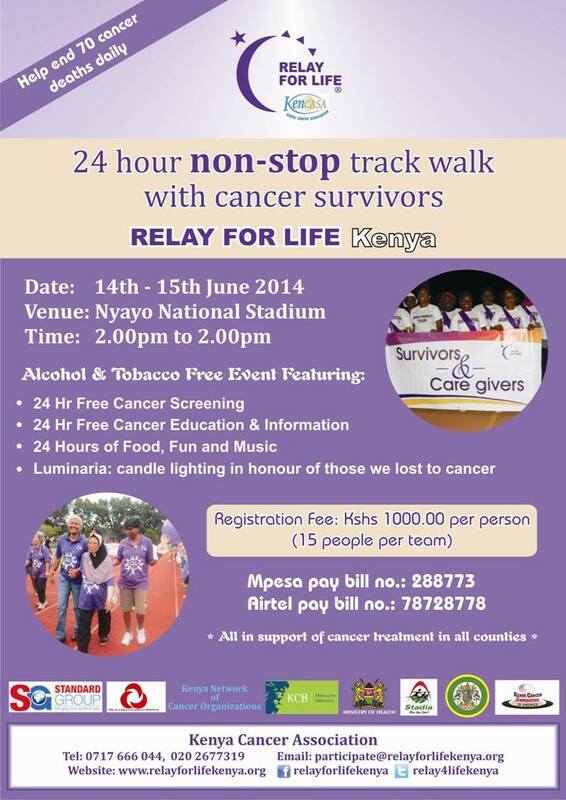 Today, in Kenya alone, over 39,000[v] cases of cancer are diagnosed annually. Cancer is the third leading cause of death, after cardiovascular and infectious diseases. NOTE: ahead of HIV/AIDS related deaths, malaria and even road carnage! 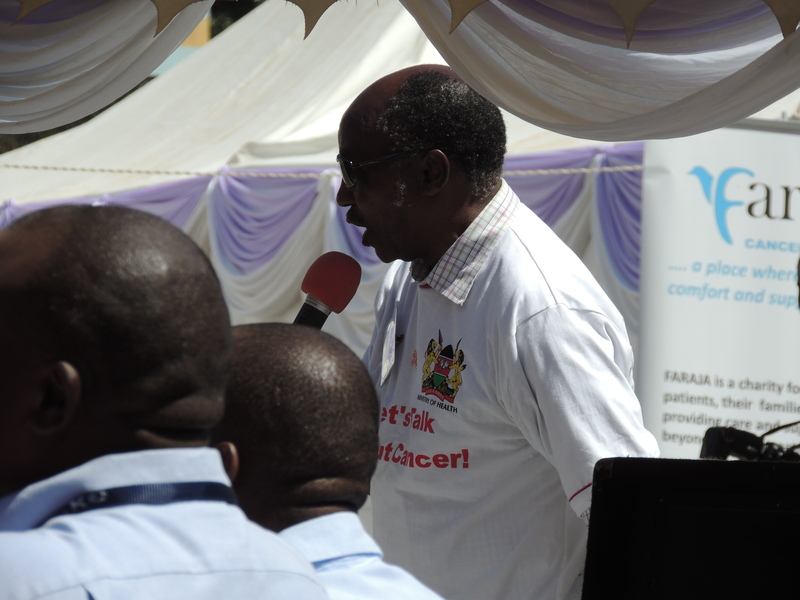 It is estimated that 27,000 Kenyans die annually from cancer; that is about 74 human beings dying per day in one small country. I do not imagine that the situation is different in Uganda or Tanzania. I have met enough patients from these neighbouring states in my several journeys to India to know that we are in the same boat. Subsidiary Fact 1: Women bear the brunt of incidences of cancer, with breast and cervical cancers leading the way (4465 and 4802 cases, respectively, in 2012). Men followed distantly with cancer of the prostate (2527cases in 2012) (funny how cancer finds entry to humans through the reproductive and nurturing organs). Subsidiary Fact 2: In more developed societies, there are now fewer deaths arising from cancer because of government investment in research, regular screening and early diagnoses. We understand that in the US, for example, incidences of cancer of the cervix have dropped significantly due to vaccination of girls. Subsidiary Fact 3: Besides being the most painful of diseases to carry, cancer is by far the most expensive disease to diagnose, treat and manage. Thus, many people in the developing world cannot afford regular screening tests, let alone receive the necessary treatment in time to make the intervention meaningful. Many families have also been impoverished by the prolonged treatment that still leads to death. Part of the answer to my earlier question, and this is not from any scientific research, is FEAR. The very word cancer instils fear, the fear of death. We do not discuss death, our death, in Africa. That is why so many people die intestate. So, we shroud cancer with myths, we ascribe the cause of cancer to a curse from the jealous aunt of so and so’s step-mother–in –law. We distance ourselves from the problem and wish it away, sometimes through sorcery. Sometimes we isolate the victims, consigning them to isolation wards the way they used to do with leprosy cases. We do not shake hands with cancer patients…the stigma is endless. The truth is, we cannot wish cancer away. It is here with us. For some, it was probably the exit clause in our DNA. For others, it may be the result of the environment and the hazards of the profession we have legitimately pursued, for a very few minority, they may have brought it upon themselves by a bad lifestyle, such as smoking. Whatever the cause of it we as writers and as society in general must take it on, headlong: the way we approached HIV/AIDS. Governments must declare cancer a national disaster and allocate commensurate funds to handle it. Civil society advocates need to carry loud banners on our streets and village paths declaring that this monster is coming to gobble us. Writers, both fictional and scientific, need to articulate the message of hope and compassion. This is your mission and sacred duty. I wish you well in it. [iv] Cancer in Africa, edited by Cook, J.P. and Burkitt, D.P., E.A.P.H.,Nairobi, 1971.